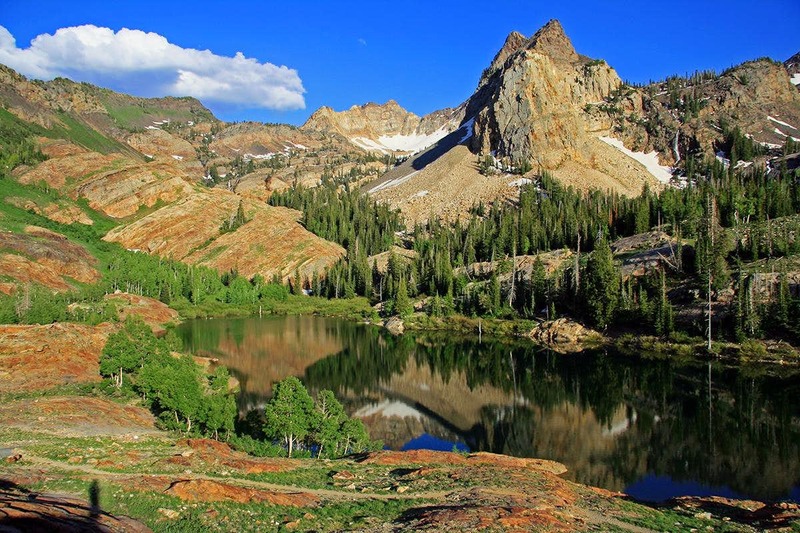 The Northern Wasatch Mountains are a largely unknown and serene mountain wilderness just east of the city of Logan. Lots of hiking and backpacking can be found here along with a few good scrambles. Technical climbing is of lesser prevalence here. 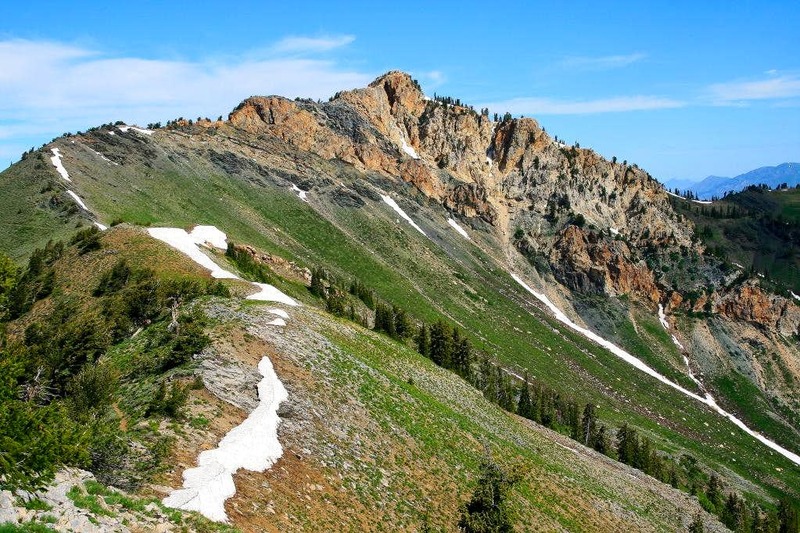 The Central Wasatch is the center of hiking and mountaineering in the Wasatch Mountains. These mountains are the rugged alpine peaks located directly above Salt Lake City. Abundent rock climbing is also found in Big and Little Cottonwood Canyons as well as world class ski resorts. The Southern Wasatch encompasses the group of mountains south of Salt Lake City. There are many peaks to climb, but most people come here to climb two of them: Mount Timpanogos and Mount Nebo. 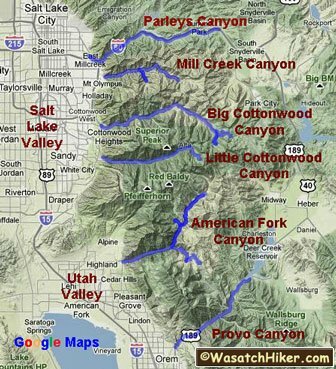 The Southern Wasatch runs north to south from Box Elder Peak to Mount Nebo and the closest towns are American Fork at the northern end to the town of Nephi to the south.